Breakout sessions at last week’s Lucian Leape Forum included Dr. Lucian Leape himself, Paul O’Neill, Former Chairman and CEO, Alcoa, 72nd Secretary of the US Treasury and more. I had the long-awaited pleasure of hearing Paul O’Neill speak in person, during his breakout session entitled, Operationalizing, Disseminating and Implementing Joy & Meaning In Work and Workforce Safety, along with Julie Morath, RN, MS, President & CEO, Hospital Quality Institute of California. O’Neill’s unwavering standards and expectations in business, and for healthcare, have been an inspiration for many. Therefore, it came as no surprise that he seemed irritated with our progress to date, pulling no punches when asking the group how many of us in the room knew the real-time facts about injury to the people who do the work in our hospitals, and, did a system currently exist to provide that information with a 24-hour lapse? No one in the room raised a hand, and he shared that only 6/100 in a recent audience responded affirmatively to the same questions. “We’re too far away from this type of excellence,” he said, following with a story that while at Alcoa, the company’s screen saver included real-time safety data. When a particularly concerning near miss appeared on his screen one day, O’Neill picked up the phone and called the team in Russia where it had occurred, asking for more information about what had happened. The personal attention to this near miss resonated throughout the organization, furthering the culture and behaviors that make organizations stronger. It’s this type of response and awareness to healthcare professional harm, as well as patient harm, that will move us to where we need to be. “Why can’t we do this (in healthcare)?” was O’Neill’s resounding and animated challenge, many in the room knowing full well why we have not. Healthcare culture, leadership that says one thing but fails to support the necessary changes at pivotal moments, inertia–all of these however, are choices made by leadership. Either you’re in or you’re out. It will be very challenging to protect patients if we first can’t protect our own. The physical and psychological safety of our healthcare workforce is pivotal to ever improving the quality and safety of care. Real leadership is enabling not controlling. A leader’s first responsibility is to his/her people. Safety is not negotiable – it’s not a trade-off. You figure out how to pay for it. A pre-condition is that people who work ‘here’ will not get hurt. Habitually excellent organizations don’t “report” – they share information and act in a timely way when things go wrong. The response is key when people do share information. You can shut down a reporting culture in a heartbeat if you criticize someone for what/how/where they shared information. How would your healthcare workforce answer O’Neill’s 3 Questions: 1) Am I treated with dignity and respect by everyone each day? 2) Do I have what I need so I can make a contribution that gives meaning to my life? 3) Am I recognized and thanked for what I do? “Organizations are either habitually excellent or they’re not – there’s no in between,” said O’Neill. “Do or not do, there is no try,” fictional sage Yoda advises via the story world of Star Wars. It is time for healthcare to do differently. 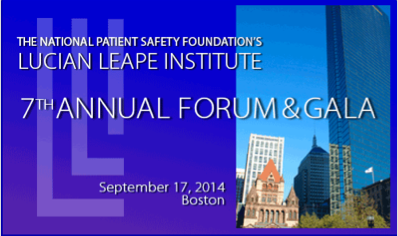 The 7th Annual National Patient Safety Foundation and Lucian Leape Institute Forum and Gala was held last week in Boston, gathering patient safety leaders together to share knowledge, recharge and re-energize their efforts in making care safer for healthcare professionals and patients. The opening keynote, Using Informal Influence to Drive Positive Change in Healthcare, was given by Andrew Knight, PhD. Assistant Professor, Organizational Behavior, Olin Business School, Washington University. Knight has studied innovation implementation, leadership and teams in high risk environments, such as the surgical suite, ICUs, Emergency Departments and the military. Knight’s talk provided a number of take home tools for healthcare leaders to approach internal change with new power. He supplied a different lens through which to view company politics, one that allows for consideration of “the other” versus leaving a footprint on even your mother’s forehead to reach the top. He shared insight into the influence skills and the collaboration across teams necessary to move quality and safety initiatives forward. And, he stressed that data alone has not been the sole catalyst for the large-scale adoption of change needed to make the healthcare workplace as safe as we need it to be, using the tragic story of Ignac Semmelweis as evidence. 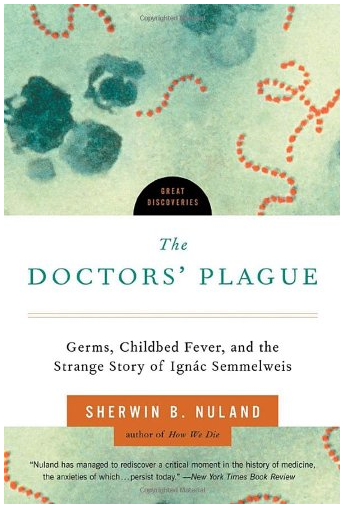 Many are familiar with Semmelweis’ story–the doctor who discovered hand washing as a “cure” for the high number of deaths related to childbirth in Vienna clinics. His findings at the time went against the medical community’s thinking of the day, with physicians even taking offense at the request to wash their hands before caring for a patient. Unable to convince, or influence, others of his findings during his lifetime, Semmelweis was ultimately committed to a psychiatric hospital at the age of 47, and beaten by guards two weeks after his arrival. As the story goes, Semmelweis died shortly after from the same infection he was trying to protect patients from through hand washing. This simple, cost-effective step in the delivery of care at the desired 100% adoption rate still eludes health systems today. Additional takeaways from Knight’s talk include the following. He is an excellent speaker and the topic couldn’t be more timely for healthcare. When it comes to navigating the waters of company politics, do you consider yourself an innocent lamb, a straight shooter, a survivalist, company politician or Machiavellian? Knight asked the group to respond via a text message survey. Results showed a normal distribution, the majority claiming to be survivalists with one Machiavellian in the group, prompting Knight to tongue-in-cheek, warn all to watch their backs. A more realistic view of company politics was offered, such as: Instead of considering what tactics might be used to influence someone, walk a mile in their shoes to understand exactly how what you offer might affect another. Or, instead of kissing up to those in power, feel free to compliment those you admire! To implement change, groups outside one’s direct circle of influence need to buy-in, collaborate, support, and supply resources to be successful. Influence skills can help gain the buy-in! Informal influence at all levels of the organization is what makes for the successful adoption of new initiatives. A numeric equation to map the political landscape related to change was provided, quantifying the amount of current support for any given project, by any given stakeholder, indicating likelihood of success. Applicants are invited to submit essays that will be judged by a panel identified by NPSF. Six winners of this prestigious award will be selected and receive a $5,000 award, which will be presented at the Association of American Medical College’s (AAMC) Integrating Quality meeting in Chicago, June 12-13, 2014. Nominations must be submitted by 5:00pm ET, Monday Feb 3, 2014. For an example of this year’s winning essays, click here. Please contact us or visit the websites if you have questions! 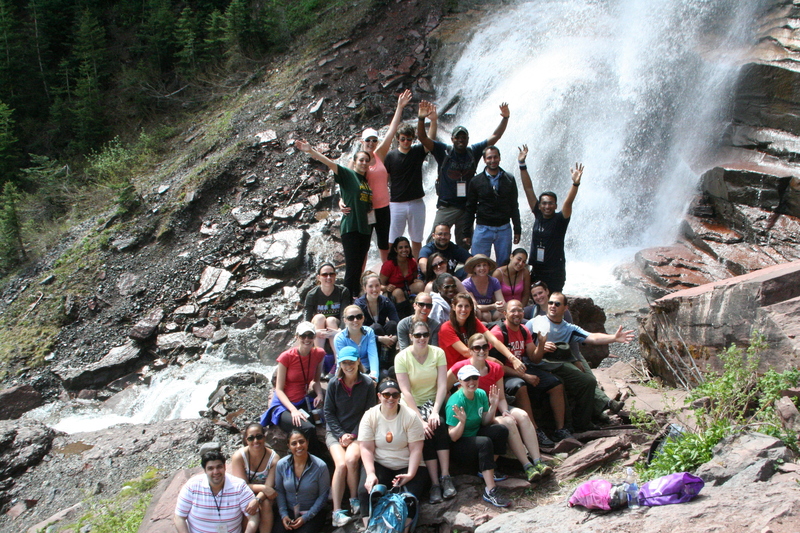 We know there are many Telluride Alumni deserving of an award like this so please enter, and share the patient-centered care you are working so hard to make standard of care. Good luck! March 3rd-9th, 2013 is Patient Safety Awareness Week! This year, the National Patient Safety Foundation (NPSF) will focus on medication safety and healthcare culture and safety with their Patient Safety 7/365 Campaign: 7 days of recognition, 365 days of commitment to safe care. Below is short video that explains the program, and ETY wants to hear what your organization is doing for Patient Safety week. Please share the programs you will be providing at your institutions for Patient Safety Awareness Week so that we can create an exchange of good ideas here on ETY!